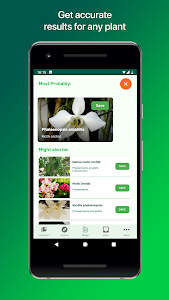 Instantly identify plants of all kinds, anywhere in the world! Flowers, trees, succulents, mushrooms and more can be quickly recognized with PlantSnap by Earth.com, the mobile app built to help you identify flowers, plants & trees in a snap. PlantSnap is free to use but requires an email registration. Your email login is used to store your anonymous photos and plant details in your own secure PlantSnap account, allow you to access your account on any device including your laptop or computer, and to secure the PlantSnap servers from hackers. ?Plants are blooming as Spring begins, and PlantSnap lets you know what each one is.? PlantSnap’s huge database covers everywhere on earth so you can identify plants instantly, wherever you are! Explore nature & find plants nearby or worldwide on a map. Plants, flowers, trees, mushrooms, succulents, cacti and more can now be viewed on a map! Tap Explore to find plant locations, view photos and study info, nearby or worldwide. PlantSnap is free to download! Try snapping a plant, flower or tree for free and have your photos instantly recognized by our always-growing algorithm. Plant names, location & more fascinating information on the world around is now free! Identify Spring flowers as you enjoy the fresh air. 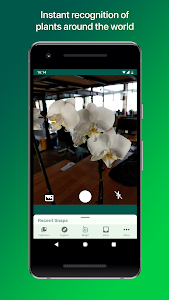 Simply take a picture of the plant you’ve found in nature, at the gardening store or wherever you are, anywhere in the world, and PlantSnap will tell you what plant it is in seconds. 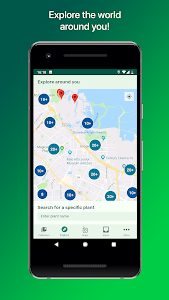 With PlantSnap, you can reconnect to the natural world around you and learn about plants on the Explore map, or browse our gallery to discover new and exotic plants all across the globe. PlantSnap is powered by deep learning and artificial intelligence and is changing the game for plant identification. Our plant database is global and always provides results instantaneously. PlantSnap will recognize many of the plants or trees that you encounter, helping any amateur or skilled botany enthusiast identify on the go. • Identify trees and other plants by snapping a picture! ?Plant Database & Learning Algorithms ? • Plants, flowers, trees, succulents, mushrooms, cacti and more... covering ALL plants across planet Earth! • Plant species list will update automatically, no additional fees required! • Explore nature on mobile, then investigate on your computer at home! ?Explore the World Around You? • Plants nearby and worldwide appear on our Explore map. 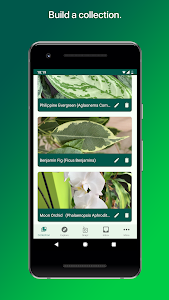 • PlantSnap lets you build a library of every plant, tree or flower you've snapped. Quickly identify plants, flowers, trees and more. Have instant access to a huge Plant Database that is constantly learning and adding information on new plant species. Download PlantSnap and enjoy identifying flowers, trees and plants on the go! 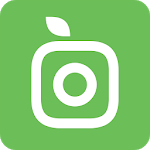 PlantSnap is free to download and try. After trying the app, you can view ads to keep snapping or subscribe for $2.99/mo or $19.99/year for an ad-free experience. We’re looking to make PlantSnap better every day! Share your feedback in our reviews to let us know what you’d like to see next. - All new UI: We've streamlined Plantsnap to give you a faster, better experience. - Explore map: View plant locations nearby or worldwide on a map. - Inbox: Send photos for manual identification by a botanist, and receive confirmation once identified. 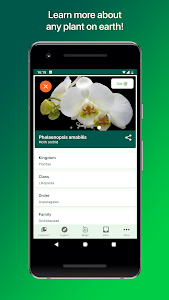 Similar to "PlantSnap - Identify Plants, Flowers, Trees & More"